Spain is proud of David Villa. The boy from a small village grew up, changed several prestigious European clubs, and reached America. The forward’s style is unique: David prefers long passes and dribbling; he likes to strike from a distance and often plays in the air. David was born in the village Langreo, North Spain, into the family of a miner José Manuel Villa. The man was fond of soccer, became his son’s first coach, and later took the boy to the sports school Mareo. The head of the family was determined to make David a soccer star. Even when the four-year-old child broke his leg, he was practicing with a ball. Since that time, Villa can use his left foot just as good as his right one. The boy was going to quit sports because of long disagreement with his coach. Young David got tired of sitting on a bench, but the father persuaded him to follow his dream. Training continued. In 1991, the boy joined Langreo. Many large provincial clubs took an interest at David when he was 17. Sporting de Gijón offered the contract first, and the young man accepted it. He debuted in reserve; in the next season, the talented player appeared in the first eleven. From the very beginning, Villa was a forward. He demonstrated his wonderful abilities, scored 42 goals, and became the team’s leader in two seasons. The club administration trusted the young player and made him the main penalty taker. The sportsman continued his career in the Primera club Real Zaragoza. Once again, the young player did his best and showed his masterful style to become the best attacking player and leading penalty taker in the team. Still, the first game was unlucky: Zaragoza lost in the domestic match. In the next game, the team made amends and won a victory. In his debuting season, David Villa scored 17 goals. His potential was being realized in the new club: for instance, he had his first double and hat-trick. At this period, David gained his first trophy, Copa del Rey. The club managed to qualify for the UEFA Europa League and reach 1/8 final. The sportsman’s results remained excellent. He was in a perfect shape and charmed fans with his playing technique. Famous Spanish clubs were eager to get the player; in the end, David Villa joined Valencia. By that moment, the team was undergoing a challenging period but continued to fight. Villa helped the team: in the very first season, his chain of goals lifted Valencia from the seventh to the third position in the championship. In the next year, he scored from the center of the field to Deportivo’s gate. In 2008, David won Copa del Rey. Top clubs were waiting for such a strong player. In spring 2010, Barcelona bought the sportsman; the transfer cost was € 42 million. Experts believed David Villa was perfect for the Catalonian organization famous for its attacking style. Villa was not just a forward: he was the full-fledged member of complicated attacking combinations capable of appropriate assistance. The Spanish player was collecting new prizes. In Catalonia, he won Copa del Rey, two La Ligas, and Champions League-2011. Fans still remember Villa’s goal in the final game: David scored the third goal against Manchester United which was decisive for the whole tournament. At the end of 2011, the forward was seriously injured. Because of his leg shinbone fracture, he had to quit sports for six months. After his return, he could not become the leading player again. The talented forward said goodbye to Barcelona and joined Atletico Madrid; the transfer cost was only € 5 million. Diego Costa was the main forward of the team, but David also proved himself as a talented player: he scored 13 goals and had 36 matches. Atletico became the champion at Camp Nou but lost in the Champions League. In 2014, the MLS club New York City bought the player. The contract was signed in May when the sports season was over; thus, David went to Australia to Melbourne City to keep fit. For the time the player collaborated with New York City, he became the captain. He did another center-field goal and received the title of the most precious MLS player. 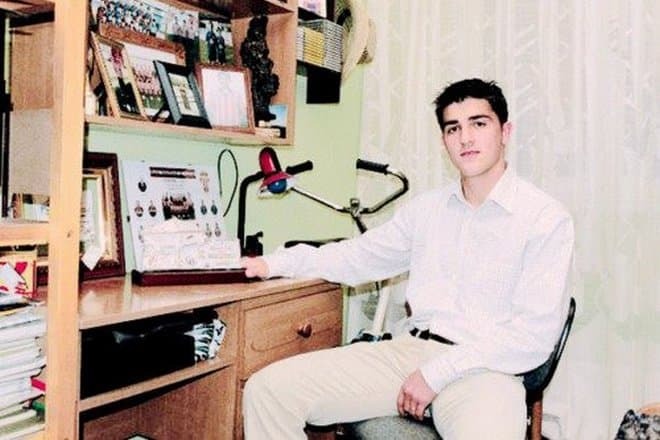 In winter 2005, the sportsman played for the Spain national team for the first time; he scored his debut goal in fall in the match against Slovakia. The World Cup in Germany was significant for Villa: he scored twice in the Ukrainian gate and scored a goal against France. That year, Spain made it to the 1/8 final. Euro-2008 brought new fans: Villa did a hat-trick in the game against the Russian team and scored the victorious goal against Sweden. Thus, the national team got into the play-off. Many fans remember Villa’s contribution to the team’s success in 2010. Switzerland was defeated, and the forward also scored five out of six goals in 1/8 and 1/4 final games. 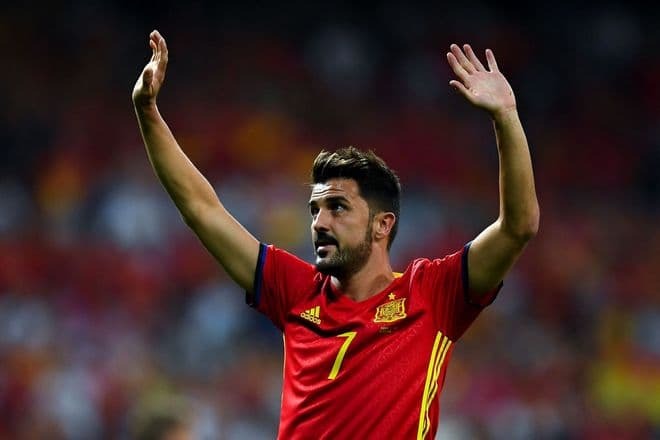 Spain became the champion, and David Villa’s role was essential. Villa was frustrated in 2012: he could not take part in the European Championship because of his trauma. However, two years later, he appeared on the field in the final game against Australia and scored. Since that time, the sportsman has not been summoned to the national team. Overall, the forward had 59 goals in international games. David appreciates his Barcelona colleague Lionel Messi’s talent and achievements. In 2016, he supported him when Messi could be awarded Ballon d'Or, but it was Cristiano Ronaldo who eventually got the prize. Villa commented on this event and emphasized it was difficult to access players: sometimes, their individual contribution was marked, sometimes, team accomplishments were put forward. However, he was strongly convinced that Messi should have received the award in that year as well as many others. The handsome, dark-skinned, and athletic sportsman (his height is 175 cm., and he weighs 69 kg) is married: in 2003, beautiful Patricia González became his wife. There are three children in the family: two girls and one boy. The Spanish forward shares some moments of his family and sports life on his personal Instagram page; there are many photos with his son. In August 2017, the coaching staff of the Spain national team announced the FIFA World Cup-2018 qualifying matches. For the first time in four years, David Villa was among the invited players; in that season, he had scored 19 goals in Major League Soccer. However, he did not make it to the final first eleven of the championship: instead of him, Iago Aspas, Rodrigo Moreno, and Diego Costa were selected. Today, the forward of New York City earns $5,61 million annually. IN May 2018, the sportsman celebrated the anniversary: in the game against Dallas, he scored his 400th and 401st goals in his career. 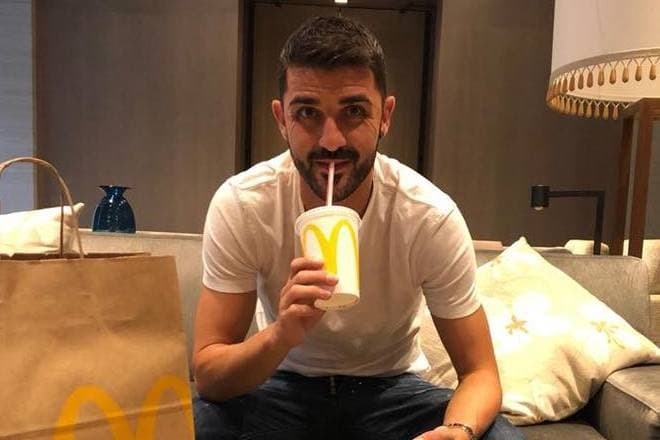 This accomplishment made David Villa the sixth player who managed to score more than 400 goals; only Cristiano Ronaldo, Lionel Messi, Luis Suárez, Zlatan Ibrahimović, and Samuel Eto'o have managed to surpass him.